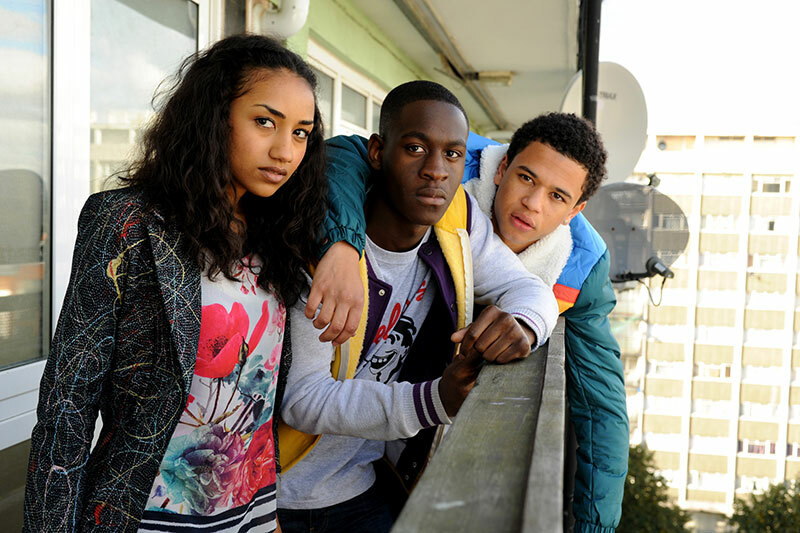 With a diverse cast, both on and off screen, E4?s Youngers is a witty and original comedy drama set in South East London that follows a group of friends trying to negotiate their way through teenage life in a world that is more about swagger than straight As. With the backdrop of the UK urban music scene, Youngers is written by Levi David Addai (My Murder, Micah ? part of C4?s Coming Up new talent season), Georgia Lester (Skins) and Mark Catley (Eggbox, Casualty). Committed to finding new talent, E4 and Big Talk Productions conducted open auditions in London to find new faces. The successful candidates star alongside YouTube heroes Mandem on the Wall aka recent BRIT school graduates Jovian Wade, Percelle Ascott and comedy actor Dee Kartier. Youngers also marks the drama directing debut of acclaimed documentary maker director Anthony Philipson (24 Hours in A&E, Coppers). ?Youngers is a very exciting project for E4. Levi David Addai has written something utterly contemporary, witty and warm, which offers an insight into the lives of teenagers who have dreams and talent ? a view of a world we don?t often see.? Levi David Addai got his first network television break on Channel 4?s new talent strand Coming Up, for which he won a CDN Award for Best Breakthrough Talent. His writing captures diverse Britain in an incredibly fresh, funny and positive way, with characters that are ethnically diverse inner city teenagers with dreams and ambitions for the future ? and this is what makes Youngers feel so original and authentic.